Soak up the natural beauty of the East Coast viewing rare birds and seal pups, the magnificent Holkham Hall and a boat trip on the relaxing Norfolk Broads. From Hull head south to Donna Nook Nature Reserve, ideal for viewing both birdlife and in November and December seal pups. Alternatively spend time in the attractive market town of Louth, capital of the Lincolnshire Wolds. Head out to the coast near Mablethorpe to see ‘Jabba’ and other unusual beach huts known as the thing Beauties along with the ‘Structures on the Edge’ including the Cloud Bar at Anderby Creek. Continue on to Gibraltar Point National Nature Reserve where the variety of habitats provide homes to a wealth of birdlife. Overnight in King’s Lynn or Hunstanton. The wild unspoilt coastline of North Norfolk, an Area of Outstanding Natural Beauty, is the focus for the day. First of all visit the Holkham Hall with its magnificent Deer Park, exhibition and nature reserve. After lunch in Wells-next-the Sea, take a boat trip from Morston to see the largest seal colony in England at Blakeney Point or view wildlife from the comfort of the fabulous visitor centre at Cley Marshes. Overnight in Cromer or Great Yarmouth. Start the day by exploring the inland waterways of the Broads National Park - Britain’s largest protected wetland and a wildlife haven. 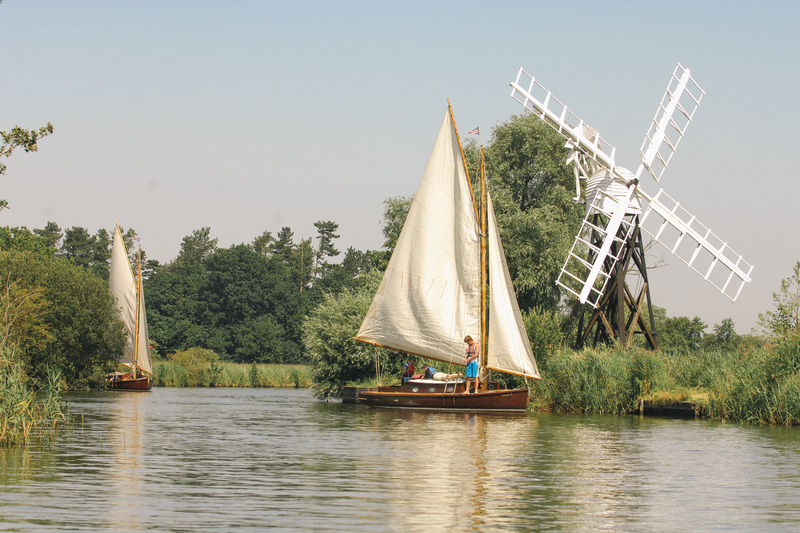 The best way to explore the Broads is by boat and there are a number of operators offering a variety of options from day boats and canoes to passenger cruisers. Spend some time in the pretty coastal town of Southwold en route to the cultural centre of Snape Maltings. View the four meter high steel structure, Scallop on the Beach in Aldeburgh before driving south into Essex. Stop off at the significant archaeological site of Sutton Hoo, or Flatford Mill, the inspiration for Constable’s paintings where there is an exhibition of his life. Spend some time in Walton on the Naze visiting the nature reserve, going fossil hunting or visiting the unusual art gallery located in the Naze Tower. End your day in Harwich exploring the Redoubt Fortress and some of the sites connected to the 400th anniversary of the Pilgrims sailing to America on the Mayflower. Explore the East Coast, create your bespoke itinerary now!